This article is a comprehensive introduction to using clay internally. It covers the use of edible clay as a natural dietary supplement. Please note that this article doesn’t cover therapeutic clay’s other uses, such as clay baths and clay poultices. Why Do People Use Clay? This article provides instructions on how those who are new to clay can start to use it safely and successfully. It also covers a wide range of issues and questions that new users often have when starting out with clay. It has been written based on nearly 25 years of research and personal experience working with others from all around the world. 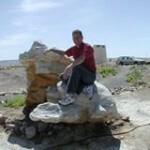 I am the founder of Eytons’ Earth (www.eytonsearth.org), and the author of the book “Upon a Clay Tablet, The Definitive Guide to Healing with Homeostatic Clay“. Edible clay minerals used in natural medicine are considered GRAS (generally regarded as safe) by the FDA, as clay was used medicinally prior to the formation of the FDA. In fact, clay has been used safely by humans and animals for tens of thousands of years. If you were able to look at all of the modern medical literature produced, you would never find reference to anyone seriously injured by proper use of therapeutic clay. Edible clay is part of the natural instinct of the animal kingdom. This can readily be seen by observing animals in their natural habitat. For example, in the Amazon Basin, parrots eat clay as a mineral supplement1 . They first eat their breakfast, and then they all gather at local “clay lick” (a collpa) and have a healthy serving of raw clay. Elephants in Africa have been shown to dig down through a mud/water hole after a long journey3. Not only do they use clay externally by covering their bodies, but they dig down to the “pure” clay– the good stuff– and eat it. It turns out that elephants have a favorite clay: River clay, which is most often volcanic-origin clay deposited onto river banks due to mountain water run off. It is very rich in trace minerals. If one watches a video of the elephants eating and playing in clay, one might actually perceive what looks like relief and happiness emanating from them. Elks, bears, raccoons, giraffes and zebra have also been observed eating clay4. Another report shows that over 200 species of animals have been observed eating clay-rich soil5. In fact, most of the therapeutic grade clay deposits that we know about were first discovered by indigenous peoples following animals and observing them consume it. It doesn’t take an intelligent being very long to get the idea that a clay deposit is a great place to go to when illness strikes. Please note that there are many ways to supplement with clay. Clay use should be highly individualized, based on the unique needs of each person. WHY DO PEOPLE USE EDIBLE CLAY? The use of edible clay is a traditional practice that sometimes baffles researchers. Its use spans the globe, and is much more wide spread than one might first imagine. “The practice of eating dirt, usually fine clays, is so common in so many societies that it must be regarded as a normal human behavior rather than an oddity, according to scientists who are studying it.”6. Its use is certainly not limited to modern times. It is an ancient practice that has been used by nearly every indigenous culture down through the ages. It is only our westernized, modern societies that have lost this practice, due to a disconnect with ancestral traditions and the advent of the pharmaceutical industry and “modern” medicines. This article would be the size of a text book if all of the science, theory, and history was covered in depth. For further information, please reference “Upon a Clay Tablet, the Definitive Guide to Healing with Homeostatic Clay, Volume 1“, and the many articles available at the eytonsearth.org website. The most common use for edible clay is to treat stomach and digestive system issues. Clay will often eliminate symptoms of an acute upset stomach within 15 minutes of use, provided that it is taken upon symptom onset. Clay has traditionally been known to be the very best natural substance to use for acute digestive system issues. For example, the only active worthwhile ingredient in the old “original” Pepto Bismol formulation was kaolin clay. The old Kaopectate formula had the “active” ingredient of attapulgite clay7. In actuality, bentonite is most likely a superior clay to either, but it wasn’t utilized for health purposes commercially until V.E. Irons produced the first hydrated bentonite formula for supplement use8. Individuals successfully heal things like acid reflux by using edible clay along with natural digestive aids such as lemon juice and apple cider vinegar. Another example would be using edible clay to prevent stomach upset having eaten food that the body might not tolerate very well. A third example would be using edible clay to treat food poisoning; many people make and consume a glass of water made with medicinal clay and colloidal silver, which can quickly assist most common instances of food poisoning. In fact, bentonite clay has been university studied as a treatment for diahhrea caused by toxins produced by pathogenic bacteria9. Another popular use for clay is for mineral supplementation. People have long consumed clay to help normalize mineral levels in the body. This issue is becoming more and more important due to soil over-farming (even organic foods). The quality of food is not what it used to be, and clay consumption has been scientifically proven to help both prevent and treat mineral deficiencies. Clay use also assists in nutrient uptake, most likely by improving digestive system efficiency. This issue is so important that it bears repeating: If people knew how depleted their food (even organic) was compared to the “normal” food in the early 20th century, everyone would be frantically proactive! V. E. Irons went to jail for pointing this fact out, and that was back in the mid 20th century. Those of us who have studied the history of supplementation in the United States consider V. E. Irons the father of the natural supplementation movement. Both Daniel Read and Bernard Jensen studied the philosophy of V. E. Irons. Next, people use edible clay in digestive system/colon cleansing programs, as well as systemic detoxification programs, often combined with other herbs and supplements. Edible clay has long been used to help with acute and chronic toxicity issues, involving heavy metal toxicity, chemical toxicity, and infectious conditions. For example, noted Lyme disease and detoxification expert Dr. Dietrich Klinghardt, MD, utilizes bentonite with his patients to assist systemic cleansing10. One of the most amazing (and sometimes confusing) things about clay is that it is a pro-life, anti-infectious substance. There are many cases (such as with e-coli) where many different types of therapeutic grade clay do not kill the micro-organism, but its use thereof results in the elimination of the pathogenic condition. Clay accomplishes this via several different methods of action. One such method is by simply changing the body’s bio-terrain to restore homeostasis. Another example would be clay’s ability to sorpt toxins produced by the organism that either inhibit immune system function or are the actual bio-chemicals that cause the disease state. Finally, many people use clay simply to help keep the body healthy. Quite a few “over 50” athletes report that using edible clay helps them keep their body in their ideal BMI range. It should be noted that many people have found that clay is not only effective for the above uses, but also that it is the most effect substance that they have found to use. In addition, not only is it often the most effective, in comparison with other substances, it is also often the most affordable. Eytons’ Earth exists to support and help educate those individuals who have elected to use clay. I do not spend any energy trying to convince people that it is a good idea to use clay. That is a personal decision. This document was developed to give anyone interested in exploring edible clay use enough valid information to make a truly informed decision. That said, it should be noted that our food supply is the lowest quality that it has been in modern times. Much of the soil used for agricultural purposes has been so over-farmed that the volcanic-origin minerals that were once richly available in the environment are now completely gone. To demonstrate how great of an impact soil depletion is on plant growth, we once did a small controlled growth rate experiment using wheat grass12. The yield after just 14 days increased by an average of 24% over the control group. The growth rate greatly improved, as did the nutrient density. Also, please note that we began with the highest quality organic wheat grass we could find. For the reason of soil depletion alone, individuals should consider clay mineral supplementation. One might think that plants absorb clay minerals better than humans do and therefore the comparison might not be valid. However, numerous scientific studies have been done in animals as well. All of them have clearly shown improved nutrient uptake and a positive impact on general health. Furthermore, noble prize winning chemist Graham Cairns-Smith spent his entire career studying a central idea: That life did not begin from organic molecules like DNA, but with simple clay crystals13. The removal of clay minerals from entire ecosystems is a very bad idea. If the minerals are no longer in the plants or water supply, then they certainly are not in our own bodies. Last, consider that the human body has never had to deal with levels of chemical and environmental toxicity that most of the world now deals with on a daily basis. To say that the human body in the modern world is “detox challenged” is an understatement. This world is not the world of our ancestors, and the human body could use all of the help it can get with its natural detoxification channels. I firmly believe that natural clay be safely explored by anyone. Can Someone Who is Pregnant Use Clay? There have been no studies done to demonstrate the safety of edible clay use for pregnant women. There also have been no official reported cases of edible clay use causing harm. Many women have used clay when pregnant without any reported health issues. Some pregnant women even crave clay when pregnant. However, without actual safety studies being done, I cannot actually advise edible clay use during pregnancy. I can only state that reasonable use of edible clay has not shown to cause any harm to the mother or to the developing fetus. There have been no studies done demonstrating the safety of edible clay use with children. Many parents do give kids clay as needed. Children, like adults, often respond very well to its correct use. The dosage for a small child shouldn’t exceed 1/4 tsp of clay mixed in water. The dosage for older children shouldn’t exceed 1/2 tsp of clay mixed in water. These guidelines are offered out of an abundance of caution and only to provide parents with reasonable usage information. I cannot recommend that parents give children clay as a regular supplement. There is simply not enough data to warrant it. I can state that as a parent, I did give my child proper doses of clay when needed to assist with digestive system complaints that occurred rarely. As my child got older, I would also allow its use if he requested it. There are many different ways to use clay. The most important step is to acclimate the body to its use. Once the body is accustomed to clay use, it may be used as needed. The first question people usually ask when becoming interested in trying clay is, “Which clay should I use?“, and “What’s the very best clay out there?“. There isn’t an easy answer to this question, although there are of course many opinions. All clay deposits are unique. One cannot judge all of the properties of any clay by looking at its classification. In other words, two sodium bentonites from two different clay deposits can be very different from each other. Clay can even vary greatly in different locations within the same quarry. Furthermore, different people respond differently to clays as well. What one person likes the most may not be the same as what another person prefers. There are currently three well established types of edible healing clays that have wide spread use. The first is scientifically known as smectite, commonly referred to as bentonite or montmorillonite. There are many different types of smectite used in natural health. Among them are sodium bentonites, calcium bentonites (natural sources, not chemicalized), magnesium bentonites, and potassium bentonites. The second type of healing clay is green illite. This type of clay is a mica. Illite particles have a much smaller total surface area than smectites. These “roundish” clay particles have a very unique shape, and are quite different from the “credit card” rectangular shape of the smectite particles. Illite functions very differently in and on the body. I like to call green illite “The Grappler” because of the way it “grabs” and holds on to substances it comes in contact with. The third type is micronized zeolite. This is relatively new to the supplement world, and shows great promise. It took me a very long time to warm to the idea of using micronized zeolite; over a decade in fact. Due to the impressive body of formal research being done in Europe, I believe that this mineral shows great promise for use in human health. Eytons’ Earth always keeps a buying guide online for sources that we believe are excellent clays marketed by highly ethical companies operating from a place of true good will who put the public interest before profit motives15. Please note that I do have commercial interest in a company that sells therapeutic grade clay wholesale. That said, this does not interfere with my ability to be objective, as evidenced by the fact that there are several other companies that are listed in the buyer’s guide. Also, please note that there are other great companies out there that are not listed on the Eytons’ Earth website. Consider the Eytons’ Earth buying guide a good place to start, but not necessarily the end! Once a person gets used to using edible clay, one can let one’s own body be the guide to follow! Don’t be afraid to try a variety of good edible clays, and conversely, don’t be afraid to stick with a clay that has worked well for you! Nearly all of the true therapeutic grade clays used for health purposes are from very unique natural deposits. There is much more to a healing clay than its official name. When getting started, there is no need to get caught up in the terminology or try to figure everything out, especially since there is a lot of conflicting information out there. It is sufficient for the beginner to simply acquire some edible clay from a reputable source. Later, one can of course explore the vast scientific knowledge about clays in greater depth. How to Begin Taking Clay? The first step when beginning clay use: Allow the body to acclimate to it. Clay is truly a powerful homeostatic healing substance, so new users should take it easy and proceed slowly. Any number of initial reactions may– or may not– occur. One of clay’s extraordinary powers is its ability to “exteriorize” latent health conditions in the body. In other words, by starting to use clay, one can experience symptoms of conditions that may have been dormant previously. 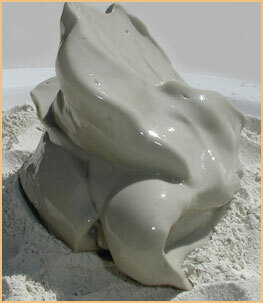 This can result in temporary, but sometimes potent, effects as clay begins its work. Allowing the body time to adjust to using edible clay is a relatively simple process. it involves drinking clay water once daily, and simply pausing for three days if one experiences any uncomfortable effects. The night before use, mix one teaspoonful of clay in 500 ml of water. The best thing to use is a glass or plastic (BPA free) shaker bottle with an air tight lid. Shake very well, until all of the clay is mixed with the water. Let the clay water breath by keeping the lid slightly “cracked” open. Store overnight at room temperature in a clean environment. If for any reason there would be excessive chemicals in the air, store the container sealed. Do not allow hydrated clay to remain in contact with any metal alloy. If a shaker bottle comes with a metal ball, simply remove it. First thing in the morning, shake the container well once again. Allow the clay to sit for about three minutes. Then, drink all of the clay water, leaving any sediment that has settled out behind (sitting on the bottom of the container). Different clays have different amounts of grit and sediment. While drinking the grit/sediment won’t cause harm, most people prefer to drink only the clay water itself. Drink clay in this manner daily for ten days or so. It is very important that clay be taken with plenty of water while adjusting to it. This will help prevent problems due to any chronic dehydration issues in the colon. Taking clay on an empty stomach in 500 ml of water also limits the interaction between stomach acid and the clay. There are both advantages and disadvantages to using clay in this manner. However, getting into the details of this issue would be an advanced topic. Most people will always do very well taking clay in 500 ml of water! By taking clay first thing in the morning, clay particles will be present during the first bile dump that occurs with breakfast. Because the body goes through a nightly cleansing cycle, there will be more heavy metals released via the bile in the morning compared to later in the day. It is a good idea to have clay on-board for the first meal of the day. That said, try to wait an hour after taking clay to eat breakfast. Also, separate clay use with any medications by an hour. If experiencing any uncomfortable effects from taking clay, pause clay use for three days, and then resume. If this occurs more than a few times, switch taking clay from the morning to the evening. Again, take clay at least one hour after the last meal. The fact is, that while it is a great idea to use clay first thing in the morning, some people respond better taking clay after the last meal. The only way to know for sure which way will be best for any individual is by personal experience! Having successfully taken a teaspoonful of clay in water for ten days straight, one can move forward. For some, simply taking one teaspoonful of clay daily, or three to four times per week, is all that is required. One teaspoonful of clay should be considered the low end of one standard dose for an adult. It should also be considered a good maintenance dose. For people with existing detox issues, chronic illness, or chronic digestive system issues, the one tsp. daily is simply the starting point. The next step for using edible clay to heal the body: Slowly increase the amount taken until the digestive system stabilizes. This means to take enough clay to transform/normalize the digestive system’s bio-terrain. Feces should be well formed, with bowel function normalized. To begin this process, increase the frequency of use (doses). First increase to twice daily, in between meals. Then, if needed, increase to three times daily in between meals. If still more clay is needed, increase the amount of clay used per dose. First, start with a tablespoonful of clay in the morning dose. Then, increase to the tablespoonful dose twice daily. Finally, increase the tablespoonful dose to three times daily. Very few people will ever need to take more than three tablespoons of clay daily. When using edible clay, individuals should always drink plenty of water. It is recommended that a person drink 500 ml of good, clean water for ever dose of clay taken. By using the above process to determine the proper clay dosage levels, clay use becomes a very simple task. Clay use goes a long way to helping the entire digestive system heal. However, there are other things that should be done, especially for those with severely sluggish digestive systems. Clay use will sometimes quickly cure sluggish digestion. However, clay can only work with the body’s own natural resources and energy reserves. If an individual is too depleted, then more help may be necessary. There are many programs out there that use clay as a central ingredient to digestive system/colon cleansing. Many of them are very good and safe. Some are simple while others are quite complex. Use one’s own best judgment and common sense when following anyone’s detoxification program or advice. Some beginners might wish to do a complete cleansing program when adjusting to clay use. Please visit earthcures.org17 for a very simple 60 day digestive system cleansing protocol. Individuals that have food intolerances report very good results taking a small amount of clay with meals. At first glance, it may seem like clay taken with meals might negatively impact nutrient uptake. However, it actually takes a lot of clay to impair the body’s ability to absorb nutrients. According to animal studies done, it would take more than 11% clay (by weight) added to a meal in order to adversely effect nutrient absorption18. People often get confused with the conflicting advice. Most of the usage instructions out there state to take clay away from meals. For the most part, this advice is good. Clay taken far away from meals allows the clay to act as a healing agent in and on the digestive system. Clay is a more powerful healing substance when it is able act on the the digestive tract itself, rather than on food in the digestive tract. This is especially true when considering the stomach and small intestines, but not so much once clay reaches the colon. That said, clay has been used for centuries specifically to help treat both food sensitivity and food poisoning. In order for clay to work in this manner, a small amount should be taken with meals. In fact, one should not be afraid to drink copious amounts of clay water in the event of any acute digestive system discomfort that may be caused by accidentally eating tainted food. Individuals with developed food tolerance issues should also consider supplementing with HCL, digestive enzymes, and apple cider vinegar. One may also wish to do a full digestive system cleansing program. Clay is an excellent healing agent, but it can’t do everything on its own. Edible clay is most excellent for assisting the body’s natural detoxification channels, including to help eliminate heavy metals such as mercury and lead. Animal in-vivo studies20 and laboratory in vitro studies21 have conclusively demonstrated that montmorillonite can remove water soluble lead and mercury, and prevent these heavy metals from damaging the body via continued exposure. Edible clay acts as a systemic catalyst for detoxification, and works as a direct detoxificant in the digestive system. Clay stimulates systemic detoxification while binding heavy metals and waste throughout the digestive tract. As such, clay helps to prevent retention toxicity, making certain that the heavy metals being purged by the body are eliminated rather than reabsorbed back into the body. It also protects the body from current exposure by preventing their absorption. For heavy metal cleansing support, individuals should take a single dose of clay once to three times daily in between meals. For individuals with documented elevated levels of heavy metals, It is a good idea to do a complete heavy metal detox program which includes edible clay, polyphenols22and clay baths. Again, these programs can be simple or complex, depending upon the needs of the individual. For a very simple and affordable heavy metal cleansing program, visit www.earthcures.org23. Please always consult a qualified health care professional when dealing with chemical/heavy metal toxicity. As a true homeostatic substance, edible clay may be useful in reducing the symptoms of hyperthyroidism. An animal study (done with rats) demonstrated that montmorillonite ameliorated hyperthyroidism by adsorbing the excess hormones24. While this study has not been replicated with humans, one would expect clay’s adsorptive properties to work the same. Smaller doses of clay taken more often (3-4 times a day) would likely be a good supplement strategy. Clay can be successfully used to reduce or eliminate detox effects and herxheimer reactions that are common to some natural treatments of chronic infections and/or illnesses. To be clear, this method should not be used to try to curb the effects of pharmaceutical drugs. Individuals suffering from side effects from natural treatments can take up to one teaspoonful of edible clay mixed in a glass of water, twenty minutes after doing the “offending” treatment. As a true homeostatic substance, edible clay is very useful in a wide range of chronic conditions. While clay may not be a stand alone cure for all illnesses, its use may provide pivotal support to any body that is over-stressed due to chronic conditions. This includes diabetes, where clay has been reported by some to help stabilize blood sugar levels. This includes weight gain and weight retnetion associated with environmental toxicity and aging. Clay has been reported by some to help normalize body weight when combined with a true healthy diet and proper exercise and lifestyle choices. Clay has been reported as useful for many different “mystery illnesses such as Lyme Disease, Chronic Fatigue Syndrome (CFS/ME) and Morgellon’s. When clay is considered as simply a healthy lifestyle choice that supports vibrant health in the body, it can be utilized by nearly anyone to help improve the quality of life and assist in bringing the body back into a state of homeostasis. Edible clay has been scientifically proven to help normalize mineral levels when added to the diet as a supplement, even when a given mineral is not present in the clay.25. Clay is best used as a mineral supplement to ensure proper uptake of nutrients consumed as a part of a healthy diet. It should NOT be used as a replacement for any macro or trace minerals. In other words, even though taking calcium bentonite has been shown to be protective/corrective for osteoporosis26, it should not be used as a stand alone treatment for it. Clay should always be used as an adjunct; a healthy part of corrective nutrition. Many mineral imbalances in the body are the result of consuming unnatural foods, medications, or very low quality drinking water. Clay can be considered as a critical part of correcting imbalances in the body. However, using clay alone should not be relied upon to do things like de-calcify joints, correct magnesium deficiency, or completely correct chronic pH/electrolyte imbalances that are now rampant in the western world. To use clay as a healthy real food mineral supplement is very simple. Consume one teaspoon of clay mixed in water three to seven times weekly. In the past, it was believed that a healthy body would only need clay three to four times per week. However, this “general rule of thumb” was established before people had to deal with the massive amounts of toxic chemicals in the food, water, and environment. If for whatever reason the body starts to crave more clay, it is perfectly fine to listen to the body and adjust clay use. If for whatever reason the body starts to reject clay use, then it would be wise to investigate. Sometimes, an individual might do better switching clays. If drinking clay-rich water causes nausea, first try to mix the clay water the day before use, and see if this helps. Edible clay is truly a homeostatic substance; very few people have actual reactions to the clay particles which would prevent its use. Since different clays have different mineral profiles, the body might be reacting to a co-mineral. The bottom line: Listen to how the body responds to regular clay use, and adjust accordingly! Many, many people have consumed clay regularly for 30 to 40 years with no ill effects. There are some programs out there that recommend using massive amounts of clay. This “throw the kitchen sink” at the problem mentality is not based on wisdom. It is more of a desperation attempt at healing. Most people should never exceed three tablespoonfuls of clay daily. However, like most rules, this rule is designed to be broken under certain circumstances. The instructions in this beginners guide state to slowly increase clay dosage, and the frequency of use, until the clay effects a positive bio-terrain change. This is the proper method of clay use. What will happen for a very small segment of people who are very chronically ill: Every time the dosage is increased, the person feels a little bit better. So the individual increases a little bit more the next day, and feels even better. The individual slowly keeps increasing the dosage until the symptoms (like diarrhea) completely resolve. This is the one type of situation where it might be acceptable for a person to increase the amount of clay consumed above three tablespoons daily. One individual should never recommend that another individual to exceed three tablespoonfuls of clay taken daily. This is a choice that one’s own body’s innate wisdom needs to suggest. Some people have tried to force feed the body massive amounts of clay, day after day, week after week, month after month, in order to try to force a healing. This never works. The bodies of these individuals start to reject clay use, and it becomes harder and harder to consume it. Individuals need to learn to listen to the innate wisdom of the body. There has never been a report of someone doing this causing any actual harm, but practices such as this should be avoided as a matter of common sense. On rare circumstances, people end up with clay blocking the intestines when following cleansing or healing programs that suggest consuming copious amount of clay. While this is temporary, sometimes medical intervention is needed. So again, most people will do very well with smaller amounts of clay. Clay Capsules, Clay Water or Clay Magma? Some people encapsulate dry clay in order to make it easier to consume. It is the water that gives clay most of its extraordinary properties. Encapsulated dry clay (or pressed clay tablets) will not likely fully hydrate until it reaches the colon, if at all. One can attempt to drink a lot of water at the time that the clay capsules are taken, but this does not guarantee that the clay will self-hydrate. It is far, far better to take fully hydrated clay in order to harness all of the beneficial properties of clay. However, it is better to take clay tablets or capsules then to not use clay at all! It is important to note that most of the animal studies done were done by adding dry clay powder to animal feed. That said, human digestive systems are obviously different from most animals. Beginners should stick to drinking clay water as advised in this guide until the body is extremely well adjusted to its use. Clay is safe and effective to use in this manner. Clay magma, or clay gel, is completely different than completely aqueous clay water. A clay gel has a collective electromagnetic energy field; the greater the volume of clay, the stronger the field. Clay water, on the other hand, has single clay particles with a zeta potential. These particles act independently of each other, and not collectively. The electromagnetic field produced by hydrated clay gel is very important when using clay externally, but this is usually not the case when using clay internally. The clay charge layers, which are responsible for the electromagnetic field, will collapse when the hydrated clay comes in contact with stomach acid. The clay then mixes with food and bile, and will not likely reform as a clay gel in the colon. When consuming clay gel orally, the clay will coat all of the tissues that it comes in contact with. This includes the throat and esophagus. This can be useful in some cases and problematic in others. One study I found in my research concluded that consuming clay gel directly could result in nutrients not being absorbed. This is quite possible if a large amount of clay gel was consumed at one time. This could result in a thick coating of clay covering the entire upper GI tract. While this effect would be temporary (likely limited to a single meal), there is no need to use clay in this manner unless one has a very specific reason for doing so. Conversely, individuals with severe upper-intestinal tract issues might experiment with this method of administration. Consuming properly hydrated clay gel could be useful with ulcerations, in particular. It bears repeating that the coating effect is only temporary; the clay will clear the intestines without any need for intervention provided that one has not consumed so much clay as to cause an impacted colon. Some companies sell pre-hydrated clay gel for colon cleansing. These formulations are usually done very well, and are safe to use provided that individuals stick to the usage instructions. V.E. Irons, for example, makes a super-hydrated sodium bentonite to use in their cleansing program. If one still desires to use a home-made clay gel internally, and are worried about the coating effect, the potential negative effects can be completely avoided. First, only consume small scoop of clay gel (1/4 tsp to 1 tsp) at a time. If one desires to avoid clay completely coating the upper GI, allow clay gel to completely melt on the tongue with saliva before swallowing. Please note: I often recommend that individuals use a clay gel orally. However, I personally consider this an advanced use of clay, and not a beginner’s use. I much prefer to see individual acclimate to clay use by drinking clay in a lot of water. This specifically helps to avoid the number one problem with clay use: A re-existing condition of a dehydrated colon. With low stomach acid production who need to take clay with a meal. To help with acid/bile reflux. With infectious conditions of the upper GI tract. In the rare situation where loose stools do not respond to clay water use. Alternately, one can make tiny balls of clay paste, let them dry, and then rehydrate them in your mouth. Many of the indigenous tribes in the United States would give their runners small balls of dried clay to carry. The runners would allow the dry clay balls to slowly hydrate in the mouth with saliva. It is believed that using clay in this manner increased the runner’s stamina for their long journeys between tribes. However, avoid consuming dry clay powder. Not only will this act as a throat and esophagus irritant, but one risks inhaling clay powder into the lungs. Always avoid breathing in clay dust/powder. If one accidentally consumes too much clay gel, the potential negative effects can be countered by drinking diluted apple cider vinegar. To be clear, there is no direct evidence that eating a teaspoonful of clay gel causes any real health concerns. What Kind of Water is Best to Use with Edible Clay? The short answer is: Use the best drinking water you can find to hydrate clay with. You can use purified water (reverse osmosis, filtered, or steam distilled), high quality spring water, and/or structured water. Tap water should be used only if absolutely necessary. Please keep in mind that it is the water that gives clay its most important properties. The water activates the clay and the clay will inherit some of the water’s attributes. When using purified water or steam distilled water, it is a good idea to add back in some healthy dissolved minerals (such as Himalayan Crystal Salt). Most people, in general, will respond better to a very clean drinking water supply as opposed to a water that is very high in minerals. For our purposes, consider a clean water as any water with between 50 PPM and 200 PPM of dissolved solids. Steam distilled water usually has between 0.3 and 1.5 PPM dissolved solids. Therefore, add about three to six drops of a saturated natural sea/mineral salt solution per gallon of distilled water. Most purified/reverse osmosis water has between 25 and 75 PPM dissolved solids. Therefore, add between 2 to 4 drops of a saturated natural sea/mineral salt solution per gallon of water. Spring water mineral content varies between sources. For external use, a high mineral-content water can be utilized to hydrate clay. There is no need to get caught up in trying to find the ideal water to use clay with. The above is simply provided as a baseline for reference. Edible Clay is not dirt. It is not rock. It is not mud. Edible clays are comprised of “sediment” mineral particles sized smaller than silt particles. These minuscule particles are highly organized and specialized. They are naturally occurring nano/colloidal sized crystals, usually found in highly concentrated/pure deposits. Many researchers have tried to describe and isolate the “living” element of living clay. There is an energy that exists as a part of clay. This energy can be physically quantified by measuring and studying its piezoelectric properties, its sorption properties, and its zeta potential. However, it is perhaps wiser to look at the energy of clay as a type of chi or prana; literally a living force that is highly supportive of life. Furthermore, the living cell itself may have been “patterned” after clay crystals. In other words, clay particles may be the actual blue print for the creation and evolution of the living cell.27. There is overwhelming historic evidence showing the benefits of clay consumption. The scientific studies that have been done28 have all demonstrated beneficial results, although most of the studies have been done exploring clay use with animals. Even so, some people avoid its use before even taking the opportunity to experience it first hand. Is there any actual evidence that using clay can cause harm? Absolutely not. The Food and Drug Administration (FDA) still classifies medicinal clays as GRAS: Generally Regarded as Safe. Clay should be considered a natural and healing medicinal food. The master naturopath, Raymond Dexreit listed therapeutic clay as one of seven irreplaceable healing substances on the planet 29. Tolerance to clay use is nearly universal; it is an actual homeostatic substance. While keeping all of the above points in mind, let’s take a look at the concerns that people tend to have about ingesting edible clay. Soil is not dead. This is a good thing for life on planet Earth. This goes for natural clay deposits as well. The aerobic plate counts for natural clay can be quite high, at least compared to purified/sterilized supplements and medications. This is to be expected; humanity has always used raw foods in their natural state. Most soil based organisms (SBOs) are non-pathogenic. In many cases, they have a probiotic (life giving) effect on the body. Clays that have been over-processed and sterilized do not seem to have the same healing power as natural clays. However, surface clay deposits can be contaminated with any type of organism via environmental exposure. Bird/animal feces is especially of concern. Decaying plant matter from the environment can also contaminate surface clay. Surface clay in moist climates may also have elevated levels of mold, and in worse case scenarios, tetanus. When assisting individuals exploring their own personal clay deposits, I have done actual testing which reveals that the surface clay often does contain Coliform like e-coli as well as other undesirable organisms. Therefore, the concern is not just theoretical. The safest edible clay is therefore harvested beneath the surface of the Earth. The best companies selling edible clay do microbial spot testing just to make sure that the clay does not contain pathogenic organisms. In all the years of that I’ve been testing clay, I have yet to find any microbial problems with properly harvested clay. The bottom line: Experience shows that using therapeutic clay, both internally and externally, often has a beneficial effect on infectious conditions in and on the body. So while this concern is valid, as long as edible clay has been obtained from a reputable source, there is no real need for concern. Does Clay Have Dangerous Radiation? The worry over radiation naturally found in most clays is unwarranted. In fact, it turns out that just the opposite may be true: Clays do a fantastic job at adsorbing and absorbing many elements (isotopes) that emit radiation, rendering them inert as long as they remain sorpted. In fact, Bentonite was dumped on top of the Chernobyl nuclear reactor, creating a 45 foot barrier, because this was the only viable solution that the world’s scientists could come up with to reduce the spread of radiation from the core of the “melting” nuclear reactor30. While no study has been done that can be considered definitive, the fact that scientists in many fields are studying clay for radiation buffering and/or removal is a pretty good indicator that these scientists– experts in their fields of study– are not worried about the low levels of natural radiation found in clay itself. Nearly all clay minerals emit low level radiation from small amounts of minerals such as Uranium and Thorium. Traditional use edible clay has been studied to determine if this naturally occurring radiation poses a health risk31. This study found that the seven investigated clay samples did not contain radiation levels that posed any risk. While the study was extremely limited in scope, it provides great reference points for study. A close look at the mineral content of clay will reveal if the clay has any elements that may pose risk. Only one out of all of the edible clays that I have studied contained a mineral profile unusual enough to exclude itself from the general “safety” parameters that can be determined by the above referenced study. And, of course, having an unusual trace mineral profile does not in and of itself mean that this particular clay is dangerous. Clays such as bentonite/montmorillonite and zeolite are being widely studied for their potential to reduce environmental radiation levels from things like nuclear waste. The results of the study are mixed, and depend upon a great deal upon variables such as pH levels and temperatures. However, bentonite’s ability to remove cesium, for example, is well documented.32. In fact, scientists in Russia have used clay to coat their skin prior to putting on radiation suits when working with radioactive material. By doing so, they have been able to reduce their cumulative radiation exposure. There is plenty of anecdotal evidence that clay can be a valuable tool in human health specifically for both radiation and chemical toxicity issues. In fact, clay is known to possess therapeutic effects both by emitting energy and by removing excessive energy/radiation. On an organism which has suffered and still retains the radiations of radium or any other intensive radioactive source, the radioactivity is first enhanced and then ab­sorbed. A clay could, in this way, ensure the protection of organisms over-exposed to atomic radiations…. Does Clay Contain Heavy Metals? The biggest hesitation that people have when considering the use of edible clay is because of the metals naturally found in clay. Modern civilization has people terrified of heavy metals, even as it continues polluting our air and water supplies with tens of thousands of chemicals that have never been present in the environment before. Most of the real threats involving heavy metals come from industrialization, not from nature, and certainly not from therapeutic clay. I’ve done extensive analytical testing of what I call traditional use edible clays. I define “traditional use” as clay that has been safely used by humans and/or animals across generations. Having studied all of the literature available on the subject, having done my own analytical testing, and having done my own heavy metal tests, it is clear that most of the heavy metals in traditional use therapeutic clay are not bio-available. Remember, that in order for a substance to be harmful, it must be consumed in a form that is both bio-active and bio-available. Traditional use clay itself is inert, and most of the heavy metals are complexed in the clay crystalline structure; most of these “dangerous” metals were fused to the crystal as the result of volcanic action, or are non-water or fat soluble. In fact, an extensive study was done that demonstrated that bentonite does an excellent job of REMOVING heavy metals such as lead from water35. Please remember that not all clays available for sale are traditional use clays. There are bentonites (particularly sodium bentonites) out there with much higher levels of lead then our baseline testing, and there are also industrial grade clays that have been contaminated via environmental exposure. There are many different grades of clay, even from the same quarry. Always stick with an experienced, reputable company when purchasing clay for consumption! The answer to the question of whether or not regular clay use increases heavy metal burden is: To the contrary. Clay has been used by environmental medicine experts to help people purge heavy metals from the body. These figures include Dr. Grace Ziem (who at one point used bentonite when she consulted with John Hopkins University), Dr. Christopher Shade, Dr. Richard Schulze, and Dr. Dietrich Klinghardt. If one were to compile a list of professionals harnessing the power of edible clay, the list would span pages. While official clinical studies on using edible clay to detox from heavy metals are rare, at least one modern clinical study has shown that bentonite clay (combined with cilantro), results in the removal of mercury, lead and aluminum from the body36. Eytons’ Earth keeps an objective list of clays with a very long history of safe internal use on the website37. To be clear, all of the traditional use edible clays studied to date do have levels of both arsenic and lead that would be troublesome if they were bio-available. To date, there is no scientific evidence or even any reason to believe that these elements are absorbed into the body, or that they become bio-available. It should also be noted that all traditional use clays are aluminum-silicates. This means that the clay crystal structure contains aluminum. However, no scientific or medical authority believes that the aluminum bound in clay is a health concern. It is not possible to separate the aluminum from the silica without a great deal of physical force. Last, there is no conclusive medical study which definitively proves that edible clay doesn’t release the “undesirable” elements. While the available data indicates that this is not a valid health concern, each person should look at the available information and make a personal, informed decision. Many people who avoid clay use do so because they are afraid of clay causing constipation. Let me be very clear: Edible clay does NOT cause constipation. Its use, however, can result in constipation. It is easy to get confused based on all of the misguided information available. One can find a certain number of people claiming that clay use cured their constipation, while at the same time one can find an equal number of people complaining that they experienced constipation from its use. When using clay results in constipation, it is an exteriorization. An exteriorization is a term used in natural medicine. It means that the healing substance used is revealing a pre-existing condition; a latent condition that is brought to the surface by the therapy. Experiencing an exteriorization allows a person to deal with the pre-existing condtion before it develops into a serious, chronic illness. Chronic Dehydration – Dehydration can occur even with individuals who drink plenty of water. The solution is to be certain one is drinking enough water every day. Mix clay water with eight to sixteen ounces of good drinking water. Try drinking clay first thing in the morning. If this doesn’t work, switch to drinking clay one to two hours after dinner, at night. Thyroid Dysfunction – Reduced thyroid function can result in constipation issues. Often times, the individual is also experiencing adrenal fatigue. Lilver/Gallbladder Dysfunction – Many people have dangerously sluggish digestive systems, and have reduced bile production/bile flow. The quick solution to curing the constipation is to use ox bile, pancreatic enzymes, and Russian radish. There is a supplement called GB-3 that can be taken just before each meal. This supplement, however, does not have enough pancreatic enzymes for people who are seriously depleted. If still experiencing issues, purchase a product called “Pancreas” by Nutricology. Start with adding six capsules 10-30 minutes prior to eating. Continue to ise the GB-3 before meals. Consider this a wise intervention in a condition that can eventually develop into very serious chronic illness! Neither of these two conditions is an actual, real barrier to clay use. Allow the body to adjust to clay use as outlined in this guide. Does Clay Stick to the Intestinal Wall? Some people fear that clay will stick to the wall of the colon and cause health issues. While there have been cases of people experiencing an impacted colon, these cases are limited to those who try to consume massive amounts of clay, who are also in a state of chronic dehydration. When using clay water, it is true that individual clay particles will adhere to tissues in the digestive tract. This process is done via electrical attraction, and not because the clay is “sticky”. Clay water itself is not sticky, nor are single particles of clay. In fact, bentonite is sometimes used as a lubricant for machinery such as oil rigs. Edible clay is only sticky in a partially hydrated state. When clay particles adhere to tissue, it is almost always due to injury/irritation at the location. This direct physical effect of clay is one of the things that gives clay extraordinary healing power in the digestive tract. Clay particles have a negative electrical charge, and adhere to damaged tissues. This actually protects the tissue from further damage, and improves healing. Clay particles adhered to tissues in the body will naturally release as the process of cell division replaces old cells with healthy new cells. Does Clay Prevent Nutrient Absorption? Over consumption of clay (as with everything) can possibly lead to health issues. However, the amount of clay that it takes to reduce nutrient absorption is dozens of times more than the amounts recommended for use as a natural medicine. Does Clay Interfere with Medications? People also become concerned that using edible clay might hinder the absorption of medications being used. This is a valid concern. To avoid any issue, individuals simply need to separate clay use and medications by one to two hours. In other words, simply allow enough time for any medication to be digested/absorbed before consuming clay. Does Clay Have High Levels of Iron? Most clays are high in iron. The amount of iron present in clay will vary from quarry to quarry. The iron content in clay will not negatively impact most individuals. Furthermore, clay should not be used as a stand alone iron supplement for those individuals with low iron levels. There are a select few individuals that have an iron intolerance. Usually, these individuals are already aware of their condition. Individuals with this medical condition should use edible clay only sparingly and under the supervision of a doctor (who can do iron blood testing). Does Clay Contain Natural Gas? All clays have varying amounts of natural naphtha, which is a gas. Raymond Dextreit, author of Our Earth, Our Cure, posited that this was one element responsible for clay’s extraordinary healing power. Every once and awhile someone trying to adjust to clay use will react to the presence of naphtha. If this is the case, all one has to do is “water wash” the clay. Make a clay water, keep mixing it, and allow it to breathe. The excess naphtha will outgas. This is one reason why it is recommended that a person make clay water to drink the night before when adjusting to clay use. However, if one desires to harness all of the natural properties of clay, it is best to leave the clay in its natural state. When one makes clay gel properly, all of the natural properties remain intact. When one consumes clay water right after mixing, the same may be said. About half of the people using edible clay water don’t notice the taste. There is a small segment of the population that experiences the taste as highly desirable (it tastes great!). There is another small segment that doesn’t like the taste. Taste buds will often change as the body adjusts to clay use. Will Edible Clay Eliminate the Good Bacteria in the Digestive Tract? No. Edible clay is a life-promoting, homeostatic substance. It’s use will not result in a detrimental effect to the good, symbiotic bacteria that naturally lives in the digestive tract. This fact was scientifically established by Dr. Howard E. Lind 39. Clay tends to normalize the bacterial counts in the colon by changing the body’s bio-terrain. However, this doesn’t mean that probiotics or fermented foods may not be needed to help the digestive system heal. In some cases, the digestive system is so imbalanced that it may next extra help to heal. You may now notice that you now know far more about edible clay than most of the food that you eat on a daily basis. In some cases, supplements are held to a higher standard than almost anything found in the average super market. Clay is one of those supplements because it has been scrutinized from every angle. While clay use may seem counter-intuitive at first glance, the more one learns about the nature of clay, the more one may realize how natural its use really is. Can New Users Experience Side Effects While Getting Used to Clay? Most people can easily adjust to taking edible clay, especially if they follow the general guidance of going slow and hydrating the body. However, there are cases where severe temporary side effects can occur. To minimize unwanted effects, allow the body to adjust to clay use for about 10 days. If the body experiences unpleasantness of any kind, pause for three days to allow the body to recover. Then, proceed with half of the original dose. In particular, those with severe kidney and/or liver issues need to apply due caution. Clay may seem simple, but it can have a very powerful effect in-body. Most of the rare individuals that experience severe side effects don’t hydrate the body, and then double or triple the starting dose. People who report these difficulties usually tried to start with two to four tablespoonfuls of clay. This is not the wisest course of action! What can be done if clay results in constipation? Individuals with weak digestive systems are encouraged to explore the “bare bones” digestive system cleanse protocol. Doing the 60 day “plug and play” cleanse is a great way to re-hydrate the body, adjust the body to clay use, and start to heal the digestive tract. We also have a full nutrition and detoxification program in development. One can also stagger clay use, as recommended by “The Grandfather” of clay therapy, Raymond Dextreit. Take clay for three days, pause for four days. Then, take clay for four days and then pause for three days. You can do this while at the same time working on remedying the sluggish digestive system. For some people, the simple solution is to change the time of day clay is consumed. Some people will do great doing clay first thing in the morning, and some will do great taking clay an hour after dinner, before bedtime. When I first began exploring the use of edible clay, it was very rare that an individual would get constipated using clay. That is why most of the educational material out there lists clay as a cure for constipation. Furthermore, the issue was almost always solved easily. However, now it is becoming a bit more common. This suggests that the digestive system of individuals now tends to be significantly weaker than it was 20 years ago. Also, low thyroid function, likely due to environmental and dietary factors, are becoming even more common. When thyroid issues are present, some people may not be able to adjust to clay use daily without doing a simple digestive system cleanse, and supplementing with iodine. Iodine is the body’s own master detoxification mineral. Clay use cannot always compensate for iodine-related health issues. A person may need professional medical guidance to assist with thyroid issues. I bought French green Illite from two different sources. One has a really strong taste. It tastes like turpentine. Is the strong tasting clay contaminated? While contamination is always something to consider, in cases like this the “culprit” is usually naturally occurring naphtha. Raymond Dexriet, author of “Our Earth, Our Cure”, was the first to explore the idea that naturally occurring gas enhanced the therapeutic properties of clay. Each batch of natural clay will have varying amounts of naphtha; some deposits may have more than others. However, all of the traditional-use therapeutic clays that we’ve studied have this substance. Different people will also respond differently, even to the same batch of clay. One person might enjoy the taste; another person might find the taste too strong. It is always advisable to use clay in its natural form, without overly processing it, if an individual desires to harness all of clay’s amazing natural properties. That said, it is very easy to out gas any excess naphtha by making a clay water, and allowing it to breath over night. Furthermore, if an individual is overly sensitive to it, one can use a table top water ozonator with a small diffuser stone, and bubble ozone through the water for ten to twenty minutes, or until the taste is gone. Ozone safely breaks down these types of organic molecules. October 25, 2017: Added the reference to edible clay use (montmorillonite) for hyperthyroidism. Added Pub Med rat study citation. October 27, 2017: Re-worded a citation for V.E. Irons to make it clear that V.E. was the first to commercially sell a hydrated bentonite product for digestive system cleansing. July 31, 2018: Added a FAQ about side effects for those just starting to use clay for the first time. September 15, 2018: Added a third common cause for clay resulting in constipation: Liver/Gallbladder insufficiency, along with recommendations to use ox bile, pancreatic enzymes, and Russian radish to quickly remedy the issue. Professor Diamond, “Nature 400″, pp. 120 – 121, copyright 1999, Macmillan Publishers Ltd.
For further information, please study the work of both Dr. Christopher Shade and Dr. Detrich Klinghardt. Both utilize clay and other heavy metal binding agents, and both have very specific in depth protocols. Their work is based upon vast experience and both have great merit, but lie outside of the scope of this article. Montmorillonite ameliorates hyperthyroidism of rats and mice attributed to its adsorptive effect. Eur J Pharmacol. 2006 Dec 3;551(1-3):156-61. Epub 2006 Sep 7, Cai Y, Meng XF, Cao YX, Lu H, Zhu SF, Zhou LZ. The Idea that Life Began as Clay Crystals, Martha Henriques, BBC Earth, August 24, 2016 and all of the scientific work presented by Chemist Graham Cairns-Smith. Coulibaly Vamoussa, Sei Joseph, Kouame N`Dri, Koua Aka Antonin, Oyetola Samuel and Brun Stephane, 2013. Measurement of Natural Radioactivity in the Clays Consummated in Côte d’Ivoire using Gamma-ray Spectrometry. Journal of Applied Sciences, 13: 140-146.
less than 0.5 PPM of lead and less than 0.5 PPM of arsenic separate from illite, and there is no reason to believe that even these elements become bio-available. “Microscopic analysis of bentonite used for adsorption of lead ions in water”, E. Manriquez Reza1, J. J. Perez Bueno, and A. Hurtado Macías, Current Microscopy Contributions to Advances in Science and Technology (A. Méndez-Vilas, Ed. ), 2012. A copy of the research paper can be viewed in pdf form here. A comprehensive guide to therapeutic, edible clay. My husband shared this with me and I am so glad he did. I have been using the clay due to intestinal problems but have felt that I really did not have a good guidance. You answered a lot of questions in your monograph – even ones that I had not thought of. Your comments about food allergies were particularly interesting as well as the timing of when to take the clay. I am now quite sure I should have been drinking more water when I have taken a dose. I will print this and put it in a binder so I can underline and annotate. Thanks again for your thoughtfulness. Thank you for writing, I appreciate it! And you are most welcome. Yes, water is very, very important… not only when using clay, but in order to support the body’s natural detoxification channels. The body can “forget” that it loves to drink water.